Welcome to the home of the Pickaway County Fair! 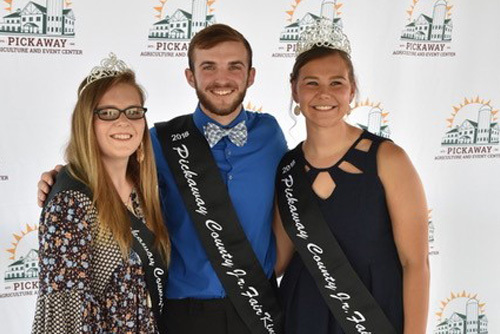 The Junior and Senior Fair Boards are excited to honor the heritage of our fair as we usher in a new chapter for our fairgrounds with NEW buildings, barns and structures at the 2019 Pickaway County Fair! We welcome you to bring the whole family to the fair to create NEW memories and check out all the NEW things we have planned. We are proud to showcase the youth of Pickaway County, honor our heritage, and introduce you to our future! There is something for everyone - both young and old. This is the perfect place for family entertainment! Introducing the revitalization plans for our NEW fairgrounds – known going forward as Pickaway Agriculture and Event Center (PAEC)! Construction began shortly after the 2018 fair concluded as most of the old structures came down to make room for the new structures to be erected by start of fair in summer 2019.